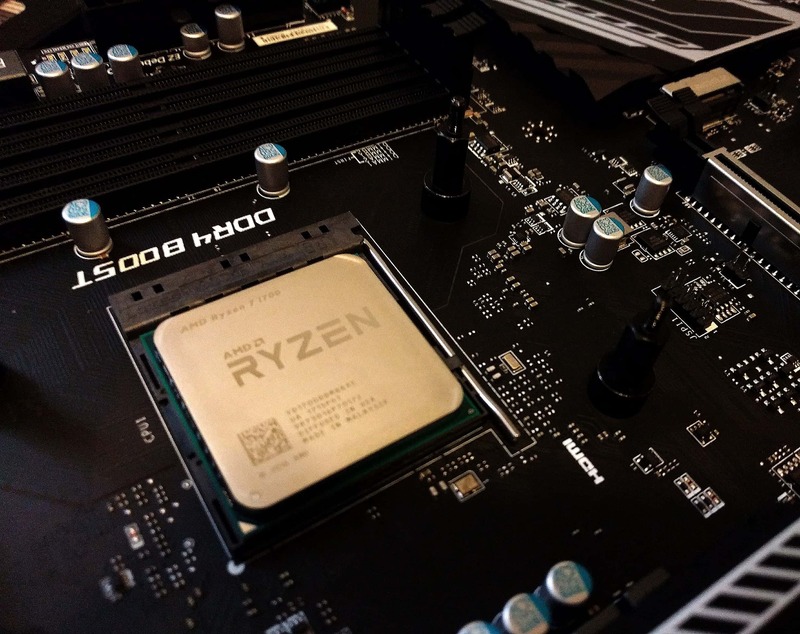 #pcbuilding Home Articles Replies Photos KB This feed has been updated. Reload? I bricked my mainboard… and recovered it using a Raspberry Pi! So yeah, this is an MSI X370 SLI PLUS. A new firmware update came out, so I unpacked it onto a USB stick and started the upgrade process. With an overclocking profile that sometimes takes a few tries to boot (memory training) and with the stick inserted into a front panel USB port. The process almost completed (or maybe completed? ), the board tried to reboot… and it didn&apos;t boot. As in, power comes on, the CPU and RAM debug LEDs turn on and off, then nothing. Clearing CMOS didn&apos;t help. So I looked at this MSI forum thread that contains the pinout and people arguing whether 3.3V is safe for a 1.8V EEPROM chip. I took a 5V-3.3V level shifter (the only one I had), plugging 3.3V into the "5V" side got me down to 2.9V. Interestingly, it runs my 2400 rated DDR4 sticks at 3200. Not super tight timings (CL18-19-19-37 1T) but pretty good for Hynix memory. My previous system, non-K Skylake, couldn&apos;t run it above ~2450.